BORN FOR THE FUN OF IT. Meet the Veer Cruiser, designed for those who prefer to take the paths less traveled. 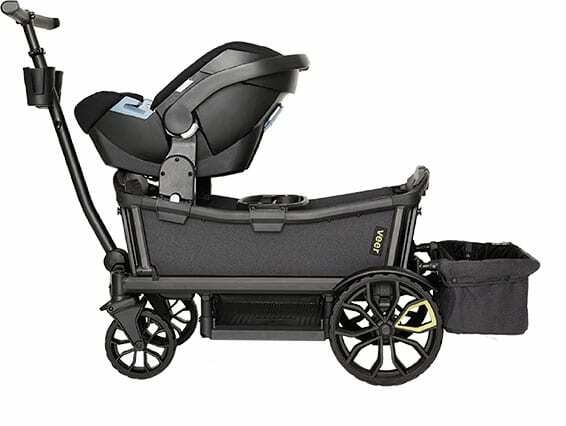 With the feel, functionality and safety of a premium stroller and the fun of a rugged wagon, Cruiser will take you further – from your first born through your last, and on terrain once thought of as off-limits for family adventure. 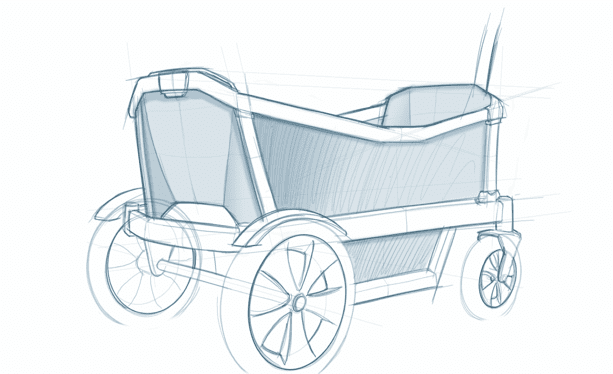 Push it like a stroller, pull it like a wagon or push it along like modern luggage. Proper design makes it suprisingly easy to maneuver. 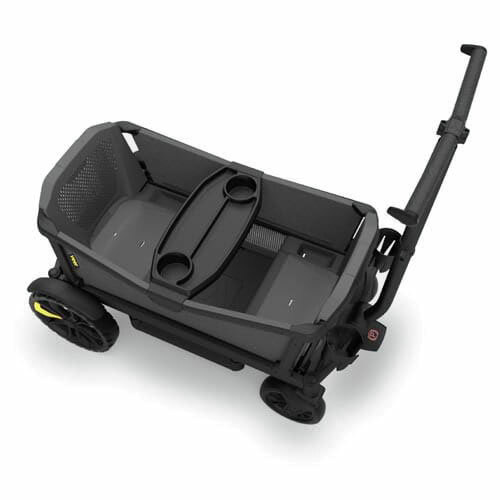 Fast and compact folding for easy transport. Sits upright on end for compact storage. Airless rugged tires, aircraft grade aluminum, robotic welds, a patented wall system, performance braking and front comfort suspension ensure years of rugged off-roading. Low sidewalls make it safe and easy for older kids to venture out, but with 360° views, 3-point harnesses, contoured seats, vented seat backs and an expandable footwell, they won’t want to. Inspired by the handles of premium, high-performance mountain bikes, our textured soft, durable and substantial grips are designed for maximum comfort and control. Easily adjusts to Mom or Dad’s height. Each Cruiser comes equipped with this removable tray so passenger refreshments are within reach. Designed for comfort and traction over any terrain, including the beach and snow. 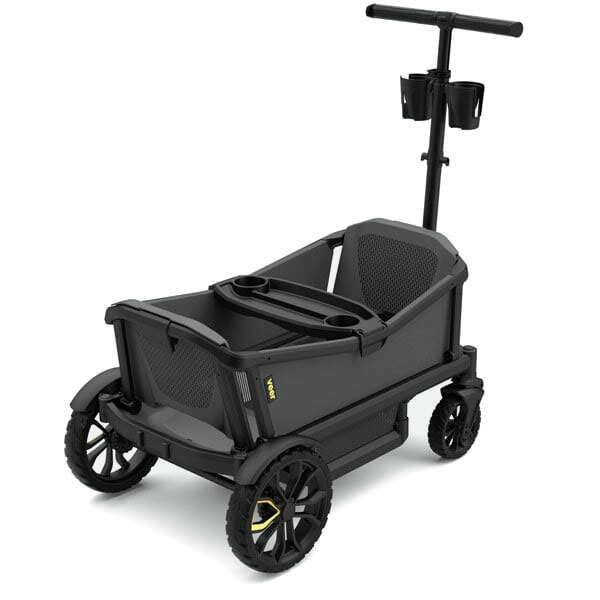 Easily attach accessories such as the rear basket for additional cargo. Easily attached additional cup holders. Passenger seating has extra leg comfort with this foot well. Drains easily for accidental spills or cleaning. Collapses upward for more compact storage. Turn, pivot, detour. Rugged front swivel wheels provide exceptional maneuverability. Equipped with low friction bearings and suspension, the ride is extra smooth on any terrain. Made from high-performance fabric, walls are rugged, stain and fade resistant, water repellant and easy to clean. Walls fold down with one-hand along with seat backs for storage. Refreshments are always in reach for Mom, Dad and the kids. Each Cruiser comes equipped with 2 cup holders and additional cup holders are available. Cruiser has a total of 6 attachment points — 2 on handle bar, 2 on rear seat back, and 2 on front seat back. The Cruiser is equipped with real built-in seats for comfort and safety, including a 3-point harness. Seat backs fold down with one-hand, along with side walls for storage. Expandable mesh pockets line interior of side walls for extra storage and gear. Each seat is flanked with storage nooks for your little explorer’s trinkets and treasures. Easy to use safety brake that is also gentle on the toes, even in flip-flops. Molded fenders cover rear wheels and are removable for storage. 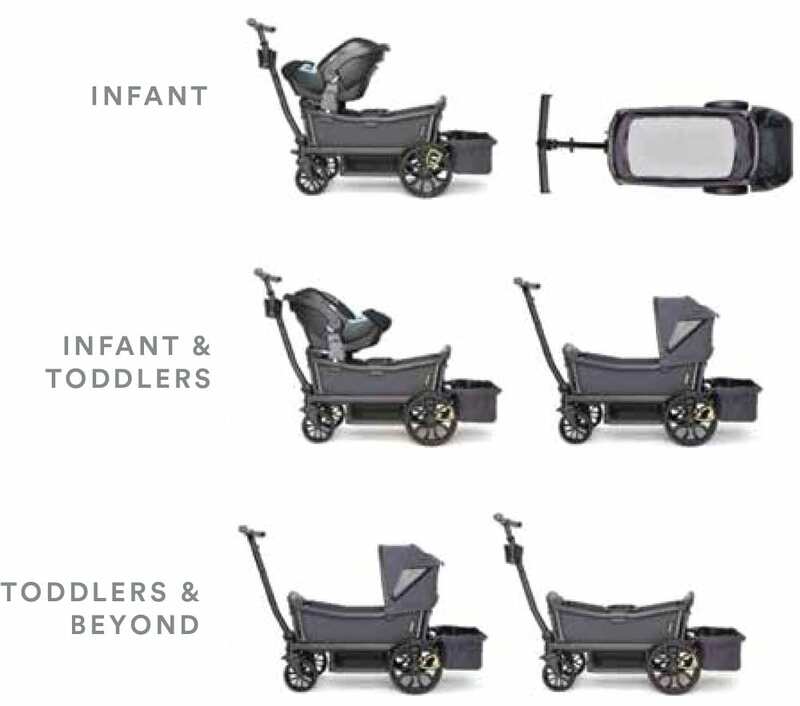 Our strength comes from a single frame patented wall system, robotic welds, and aircraft grade aluminum, yet it weighs less than many double strollers. And there are no pinch points!